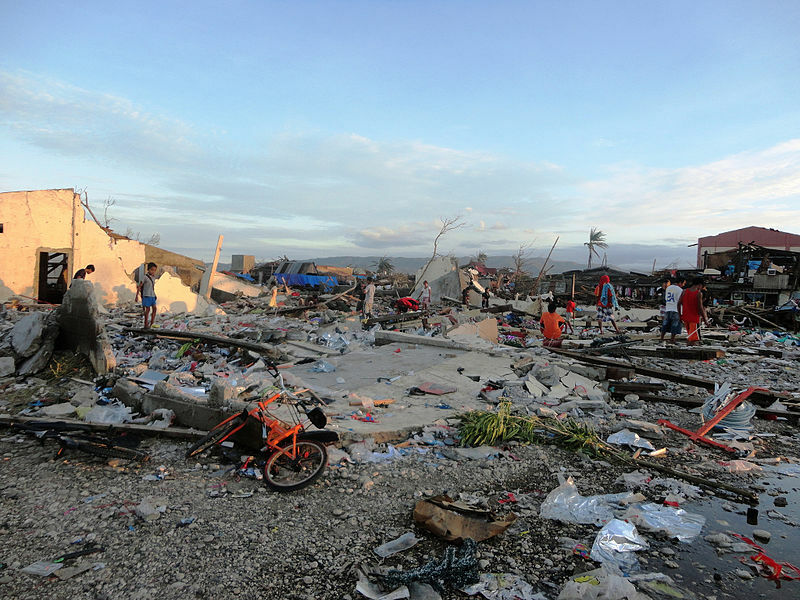 Home » Asia-Pacific » Can Typhoon Recovery Help Resolve Conflict? Can Typhoon Recovery Help Resolve Conflict? There is quite a bit of research on the opportunity to forge peace agreements in the wake of natural disasters. Geoff Dabelko, among others, is a leader in this space (see for example “Climate Change, Adaptation and Peacebuilding in Africa”). Could there be such an opportunity in a typhoon-torn Philippines? The road to recovery in the Philippines after Typhoon Haiyan/Yolanda will be long, a fact recognized by the Philippine government that has declared a “state of national calamity.” But there is evidence to suggest that the recovery effort could help resolve conflict between separatists and the Filipino government, as well as tensions between the Philippines and China. Further complicating the area’s recovery, Mindanao is also home to several anti-government insurgencies. Among them is the National People’s Army, a military wing of the Communist Party of the Philippines established in 1969. Though its influence has waned since then, it still has more than 10,000 members and continues activity, including kidnappings and extortion. Though one might think that devastated infrastructure and livelihoods would inflame tensions, at least the in the short term, Bopha has brought an end to hostilities. Government troops had been stationed on Mindanao to combat the separatists, but following the storm, they began to disperse aid, and the rebels called a ceasefire to allow the troops to better serve the affected population. Super typhoon Yolanda has sent home Chinese maritime and Navy vessels at the Ayungin Reef in Palawan, while the half a dozen Philippine Marines on board a rusting and grounded World War II-era ship are safe, a source told InterAksyon.com. This effectively ends the standoff between the two countries some 100 nautical miles from the island of Palawan. It is unclear whether or not these moments of peace will last, but the opportunity for forging better relationships should not be lost. By Caitlin Werrell and Francesco Femia in Asia-Pacific, climate and security, conflict on November 12, 2013 .